A short time ago we posted an image of one of our polyethylene tunnels with peonies in. This was just to show how they were growing, but as it turned out some people showed some interest in it and wanted to know some more details about how we work with these. So here’s a small overview of why and how we do this. 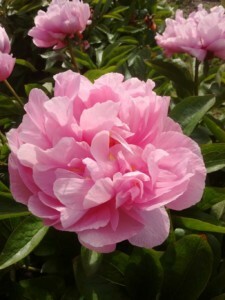 The reason why peonies are grown in polyethylene tunnels is of course that they flower much earlier. Such a plastic hoop house will let them flower approximately one month earlier than outside. 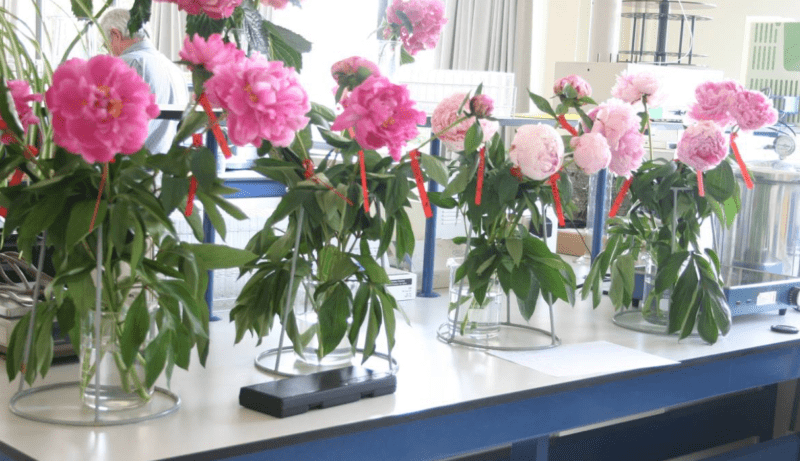 In general the earlier peony flowers are sold at a premium price compared to those flowering later in the season, so it makes perfect economic sense to use them. 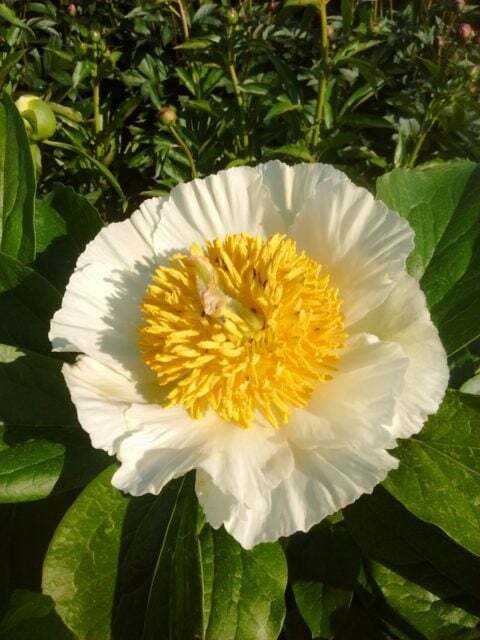 Here in Belgium the most widely grown variety Sarah Bernhardt flowers the first days of June in a normal year. With the hoop house over them, they can be cut at the beginning of May which is perfect for Mother’s Day (second Sunday of that month). You can grow peonies in glass greenhouses that can be heated to have them even earlier. 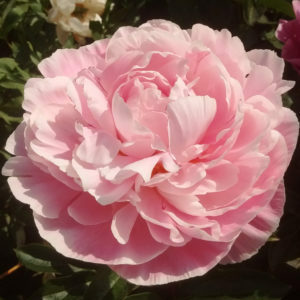 A problem there is of course that those greenhouses are the most expensive ones, but if you happen to have such a greenhouse that is no longer being used for anything else, it might be a good option to use them for growing peony cutflowers. The biggest problem is that it is often quite difficult to give the plants enough cold in Winter. 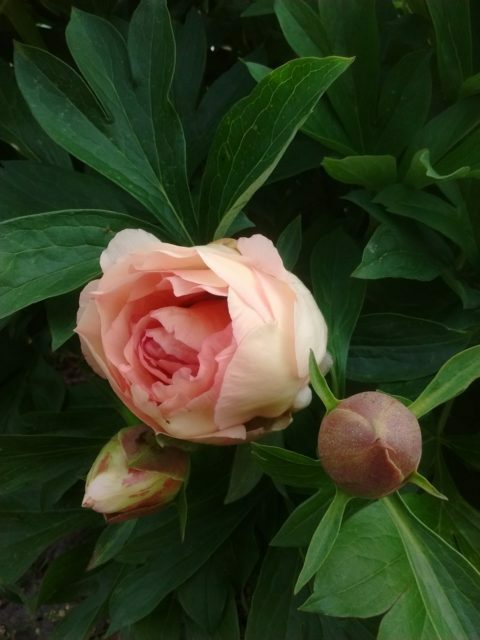 As most people will know, peonies require a period of cold to break dormancy and start growing. That’s why you don’t see peonies in (sub-)tropical climates. When growing them in such conditions, somewhat comparable to growing them in warmer climates like Israel or Morocco or the deep south of the USA, there are a few options to keep them cold. Shading the plants and lots of ventilation in greenhouses. Shading can also be done in warmer climates and often they are grown at higher altitudes (the Golan Heights in Israel/Jordan, the Atlas Mountains in Morocco) where temps are lower. Another possibility is showering the plants, after some minimal cold period, with some 250 ml of water wherein there’s some 100 ppm of GA3, a plant hormone. This will make them sprout earlier and with more stems. And sometimes you’ll see that they are grown in pots that are placed in cold storage rooms and then removed when they have received enough cold. 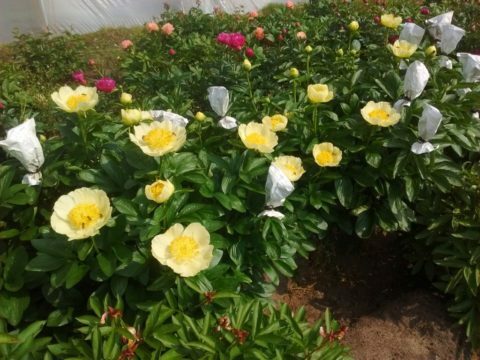 See how peonies are grown in Israel. But let us stick to what we do, the simple plastic hoop house. We have different sizes of them. The smallest ones we can take the plastic off completely, which makes it easy to give them enough cold. They are covered only at the end of Winter and will then grow fast. The larger ones we cannot remove the plastic so easily, but we leave the doors open when needed and there are several openings between the plastic covering as the plastic is placed over it not in one long piece from beginning to end of the tunnel but from left to right and thus each piece is only about 6 or 8 metres long. Our very largest one has the ability to simply roll the plastic upwards or downwards, thus it is very easy to (un)cover them. The plastic itself also has different characteristics. The thickness first (usually 1.8 mm or 2.0 mm) but there are several coatings on it usually that will change the climate inside. Thermicity refers to how good the plastic keeps heat inside, diffusion tells you something about how the light gets in (diffuse light is more dispersed and is presumably better), the other characteristics speak for themselves. When growing them in such tunnels the temperature rises quickly when the sun gets out, but at night temperatures are hardly above those outside. This makes it sometimes dangerous when you use them in areas prone to late frosts. 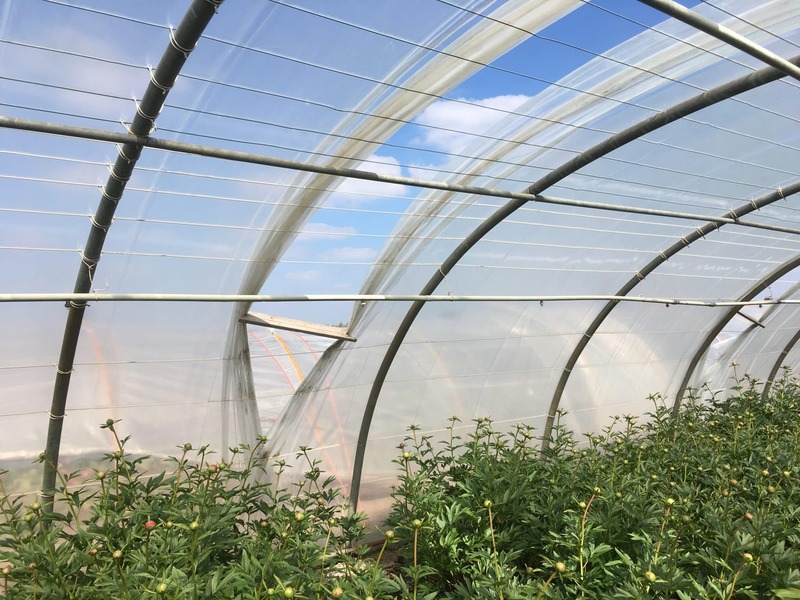 A few degrees below zero outside and the tunnels will protect your plants, but if temperatures are lower you may find that your plants will experience some damage. The first month or so after placing the plastic on it, temperatures may remain very high (30°C), both during daytime and night time. After that first month it is important that you keep daytime temperatures somewhere around 20-24°C instead and night temps lower still, otherwise developing buds may dry up. How to space your plants? 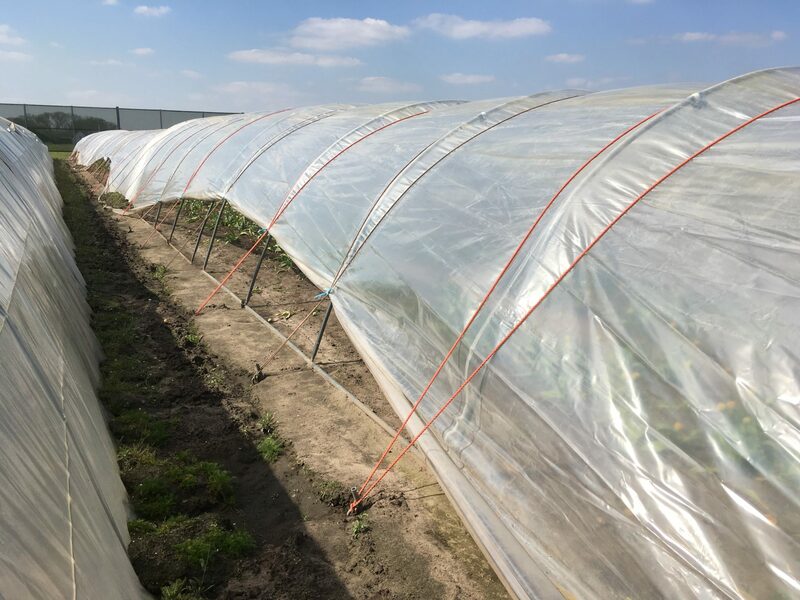 Depending on the size of your hoop house you may change it somewhat, but we keep some 75 cm between our rows and some 60 cm between our plants in the row. That way you can walk through them to cut and they will more or less cover all available space. Not all varieties grow well in them we have found out. We are still experimenting but several hybrids have disappointed us. The Corals are a good choice, both Coral Sunset and Coral Charm as they are sturdy enough and can give lots of flowers that are in high demand (for the time being). Sarah Bernhardt is often grown, but we find it already somewhat floppy outside and in those hoop houses they are floppier still. 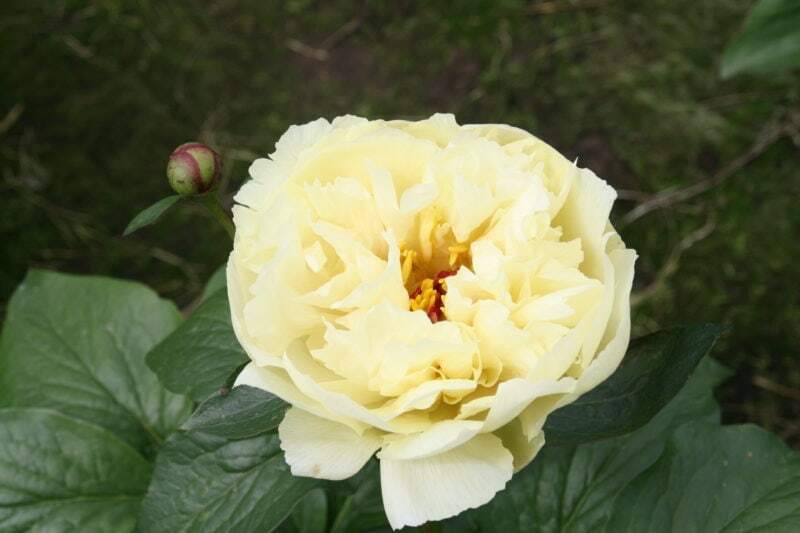 The most expensive early peonies are always the white double but for now we cannot say which one is the best as we have too few experience growing such varieties under cover. 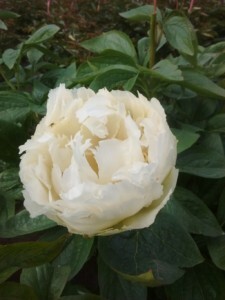 Duchesse de Nemours is a white double often grown, but is reputed for having foliage that will easily burn when temperatures or humidity in the tunnel changes fast. This will results in tip burn of the foliage which will in turn invite botrytis to destroy many of your plants. That fungus is another major concern when growing them. 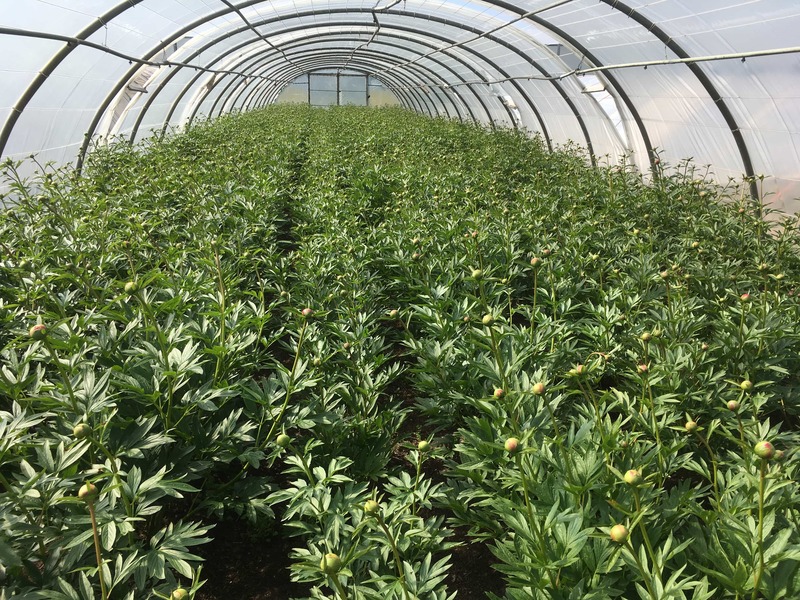 Growing peonies organically under hoop houses will surely be a challenge for some, but we would strongly recommend spraying them preventively with some fungicide that is authorised in your country. Sudden changes in climatic conditions from overcast weather with high relative humidity to sunny conditions with a large vapour-pressure deficit often aggravate the symptoms of tip burn. To pre-empt these abrupt climatical changes, roots have to be sufficiently developed and active. 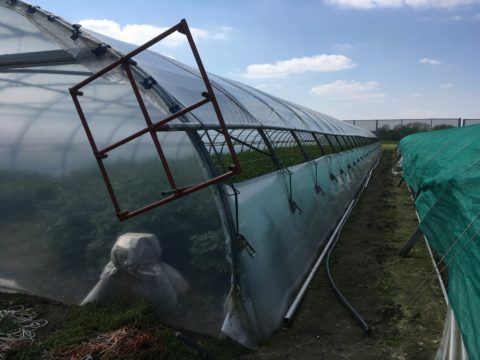 Prevent tip burn in young leaves by increasing relative humidity during the dark period and maintaining a large vapour-pressure deficit in the atmosphere during the day. Continous high relative humidity (due to insufficient ventilation), excessive misting and free water accumulation on the strawberry plants all reduce transpirational flow of calcium. On cloudy days, stimulate transpiration by ventilation and minimize irrigation. On sunny days it is important to avoid large fluctuations in temperature and humidity. It is important to close vents and tunnels in the early evening to increase humidity at night and favour the buildup of root pressure. The Peony Society 5 days, 22 hours ago.